Stop and look around. What you are seeing is the iconic Tuscan countryside – the one printed on postcards. But this is not a photograph, it is live and you are here! In front of you lies the soft rolling hills scattered with cypresses, a gravel road stretching as far as the eye can see and a horizon filled with more and more beautiful landscapes. 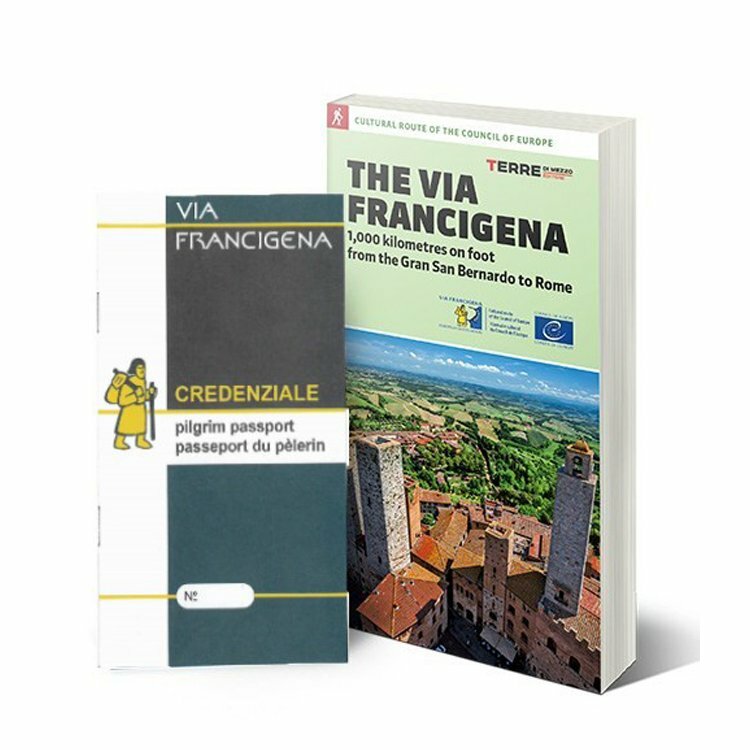 Have you even wondered which part of Via Francigena is the most spectacular? Here it is, in the heart of Tuscany. We decided to enshrine it in 8 days of walking, 8 days filled with emotion. Enter the Pieve di Chianni, where Sigeric the Serious slept, and rest within the frescoed walls of its hostel. The following day, see the towers of the Monteriggioni castle, from a distance, getting closer and closer with every step as you venture through the beautiful Val d’Elsa. The promising horizon foretells of a rising fairytale castle and its crown of towers. The red earth under your feet accompanies you towards Siena until you pass through its gate: here it’s easy to turn the corner and meet a parade of flag wavers and drummers, proudly flaunting the colors of their district. Finally, immerse yourself in the lunar landscape of the Crete Senesi, the colors merging and overlapping in front of your eyes on windwept, sunburnt grass. All of this in one trip: enjoy the best, all the while knowing that you won’t be able to resist all there is to see in this beautiful placed called Italy! Enjoy a dish of Pici in the fortified centre of Monteriggioni. Your journey begins in San Miniato, a small town perched on a hill. While this little hamlet may not be as famous as the other art cities along your path, we believe sometimes "the less known, the better". Here you can walk through the narrow streets of the old town center and find yourself staring the painted façade of the Seminary – even more beautiful by night, strolling after a delicious dinner. And speaking of dinner, if you love food don’t miss the local culinary experience: the white truffle, a delicacy you can joyfully indulge in as a celebration of your walk. Ready to start with a bang? Your first day of walking covers one of our favorite sections of the route. You walk along the sides of soft rolling hills; in the spring green colored and speckled with wild flowers, and in the summer a golden windswept sea. Gambassi Terme hosts the Pieve di Chianni – and one of the most beautiful hostels of the entire route. You sleep in bedrooms with ensuite services, the walls often decorated with original restored frescoes, taken care of by the family that manages the hostel with love and dedication. Exchange travel stories with the other guests with a glass of ice-cold beer in front of you, and then a not-to-miss visit to the Pieve where you will find several engravings, bas-reliefs and paintings with more than a story to tell. Today’s walk is short but sweet. Before long you will see the towers of San Gimignano shimmering in the distance: the goal looks promising, but don’t forget to enjoy the journey. This part of the walk is through soft hills, a sea of green/golden grass and farmhouses, to finally reach the Pieve di Cellole. This unique place, immersed in peace and silence, hosts a monk community. If you hear a muffled sound coming from the Romanic church guarded by cypresses, quietly come closer and listen: the monks sing every day, and you may be fortunate enough to hear them. You proceed towards San Gimignano, closer and closer. Our recommendation is that you go straight to the Torre Grossa. From the top of this highest tower of San Gimignano, far from the crowd filling the narrow streets below, you can admire a 360° view of the old town center and the beautiful landscape all around. If you like wine, you must taste the local pride – the Vernaccia, a white wine that you can sip at its best, in the winery of the Montestaffoli fortress. The journey continues along a much more shaded section. Today you walk through the forests of Val d’Elsa and enjoy little adventures as you ford easy rivers and streams, find meadows dappled in sunlight that breaks through the trees, and refresh yourself in the cool stream water. Today you reach Colle Val d’Elsa, a medieval hamlet enclosed in stone walls. Prepare yourself for a restorative meditation in the form of a walk. The road takes you through hills, woods and meadows, quiet churches and unique places like Abbadia a Isola – once an ancient abbey surrounded by marshes, now a hostel that hosts pilgrims and an annual slow travel festival. Here you can stop by Massimo for a coffee and a slice of homemade cake before setting off again. Now you are headed to Monteriggioni, a tiny ancient world enshrined in a crown of towers. You can sit in the main square and watch as it comes to life with pilgrims and locals, or walk on the walls to enjoy the surrounding landscape from an elevated position. There are also hidden gardens where you can rest – but we leave the pleasure of finding them to you! Today your feet cross gravel roads, Siena-red colored paths, and shady trails through woods full of surprises: one moment only trees and leaves and then suddenly a castle, or perhaps, the remains of a medieval village, or maybe, a pyramid in the middle of the forest. With every step you get closer to Siena. Suddenly you pass through the Porta Camollia and merge yourself into the old town center. You are passing through "contrade" – city districts – at all times. You may come upon one of their celebrations, in the colorful parades animated by flag wavers and the sound of drums – or maybe even the preparations for the Palio, the most important event of the year. By night, enjoy the illuminated Piazza del Campo, then sit in a trattoria and order some pici: these thick spaghetti are really satisfying, especially if tossed in the traditional sauces – pepper and cacio cheese or “all’aglione”, with tomato sauce and garlic. Keep your finger crossed and hope for a sunny day, because the hills of Val d’Arbia are a view that you won’t easily forget. After saying goodbye to Siena, you walk the typical “strade bianche”, gravel road running through the hills. The landscape all around you looks like something painted by a skilled artist with each color perfectly chosen and placed. The shades of grey, green and silver mix in front of your eyes, every glance offers a surprising and ever different view. It’s a lunar landscape out of space and time, which only this part of the world can offer. Just out of Monteroni d’Arbia you can admire the imposing Grancia di Cuna, a fortified farm that used to store the grain reserves for the Republic of Siena. Your last day of walking takes you in the Ombrone Valley, another natural painting of staggering beauty. The last kilometers of your journey won’t disappoint, and neither will the village where your adventure comes to an end. Buonconvento is a real slice of Tuscan life, a “happy and fortunate place”, just like its name implies. Walk through the streets of the medieval city center, enjoying the slow, tranquil pace of life in this regional town. If after the natural beauty you want to also admire those created by humans, the Museum of Sacred Art of the Val d'Arbia houses the works of some of the most famous Sienese painters. What in the thirteenth century was a severe monastery cloister is now Hotel San Miniato, refined historic home sits on a hill overlooking the Tuscan countryside between Florence and Pisa. The rooms are comfortable, elegant and clean. Breakfast is good and rich. Hotel Italia is 300 metres from the pedestrian center near Porta Camollia. Romms are comfortable and have air conditioning, free Wifi and satellite TV and some of these have a balcony or terrace that the guest can books with a small extra. Buffet breakfast is rich and varied. The Hotel is surrounded by a relaxed and pleasant environment. Rooms are small, but clean. These are furnished in every detail while maintaining the typical Tuscan style with beams and wood trim. In some rooms you can admire the beautiful Tuscan landscape. Free Wifi, air conditioning, TV. This building is situated on one of the branches of the Via Francigena, which Sigerico, Archbishop of Canterbury, walked between 990 and 994. This hostel housed in finely restored historical buildings and it has basic, clean and comfortable rooms. 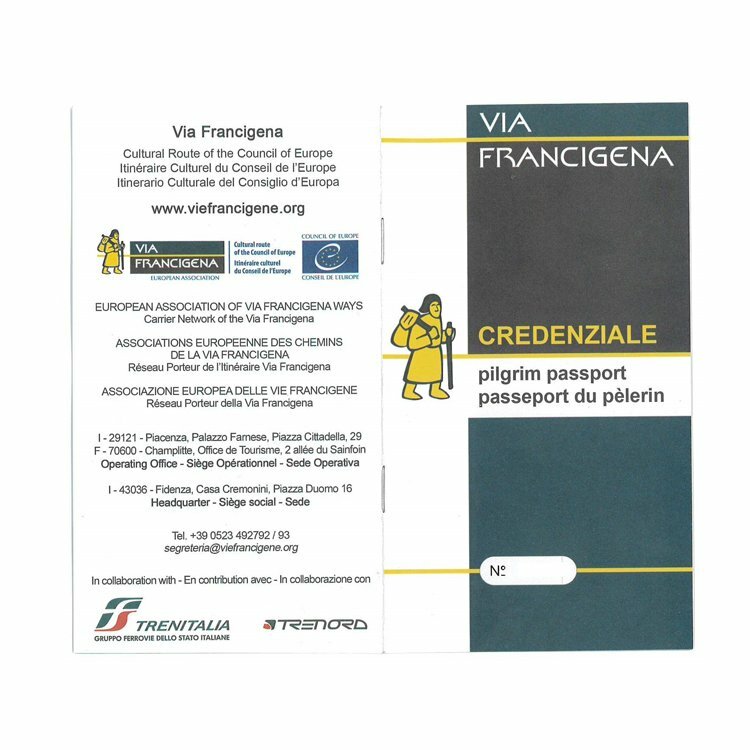 The hotel is both overlooking the ancient Piazza della Cisterna used to welcome pilgrims from all over the world and charming hills of San Gimignano. This stately homes is located in an excellent position, into the heart of San Gimignano. Hotel Bel Soggiorno is located in the city center: the medieval walls and historic entrance of Porta San Giovanni are just a few steps from the structure. Rooms have bathroom, air conditioning, TV, telephone and many of them overlook the marvelous tuscan countryside. The Arnolfo B&B, next to the ponte di Campana, is a confortable accomodation divided into three apartments for a total of 10 rooms, each having its own bathroom with shower, Wi-Fi and satellite TV. Furthermore these are spacious and quiet. The location is well-finished and beautifully decorated. Breakfast is rich. Set in the centre of Colle Val d'Elsa, La Vecchia Cartiera in 1200 was once a paper mill and after an accurate restoriation is now a comfortable hotel. This hotel have spacious and cozy rooms with air conditioning and a fine restaurant specialising in traditional Tuscan cuisine for lunch and dinner. Free Wifi in all areas. Staff is helpful. Buffet breakfast rich and good. Borgo Gallinaio is a medieval hamlet dating back to fifteenth Century, now converted into a charming hotel surrounded by the Tuscan countryside and located at short distance from Monteriggioni Castle. Rooms are spacious and furnished in a rustic style with wooden beams and terracotta floors and have private bathroom and free Wifi. Location is quiet and the staff is friendly and helpful. Quality breakfast is served in the courtyard. The building, which is in the heart of this charming medieval fortress, dates back to the 17th century and is now home to the superior 4 star Hotel Monteriggioni. The original architectural style has been preserved during the restoration, creating, together with the tasteful furnishings, a luxurious setting where guests can enjoy a private yet elegant atmosphere. Rooms are equipped with antique furniture and all of these are air conditioning and satellite TV. Hotel Chiusarelli*** is located in the city center of Siena and finds its natural setting in a neoclassical villa built around 1870. The Hotel has been completely renovated in 2013 and offers spacious and clean rooms with air conditioning/heating, telephone, free Wifi and TV with Sky Vision. The Hotel doesn't have the lift. Quality breakfast. From any airport, get to the closest railway station. From there, you can reach San Miniato Basso by train (the station's name is "S. Miniato-Fucecchio"). Trains are direct from both Pisa and Florence. Once in San Miniato Basso, you can reach San Miniato Alto by bus (get off at Piazza del Popolo). Chec bus schedules on http://www.pisa.cttnord.it/Linee_e_Orari/Linee_Extraurbane/L/134 (bus line 320). On departure from Buonconvento, you can get Pisa, Florence, Bologna and Milano by train.